With a scrap car, you have a few different options. You can disassemble the car and load it on a trailer and head to the recycling yard; perhaps, place an ad in the paper, or contact Cash for Cars Adelaide. We are a removal company in Adelaide, SA that pays you to remove your scrap car. Selling your scrap car Adelaide, SA to us means that you have none of the tedious work of preparing the car to be recycled. We are a scrap car buyer in Adelaide, that removes your car in “As Is” condition, doing all the prep work when we bring it back to our yard. You simply count your cash payment for the car. The weight of the car – 65 percent of cars is comprised of steel. The heavier the car, the better price we offer. The size of the car – like its weight, size adds value to the scrap car. The condition of the scrap car – obviously, if the car is full of rust, or is so deteriorated that you can put your hand through it, it will take more work to recycle, and the value for the car will not be as much. There are many other factors that we base the value for your car when making a quote, which our appraiser will be happy to discuss with you. When selling your car to us, it is necessary to contact us for a quote and accept that quote. Our quotes are provided pressure free with no obligation to accept. Contact us via telephone or online with the details of your car, truck, van, SUV, or 4×4 so that our appraiser can provide a quote. Take us up on our offer, or flat out reject it. When you give our appraiser a call, please let him or her know if you have the title of ownership of the car. Also, should you accept our cash quote, and schedule a free removal, please have the car in an area that allows our tow truck access; and, its plates removed. 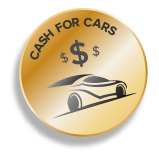 To get your scrap car sold, contact Cash for Cars Adelaide, SA today. Call us at 0477 413 136.